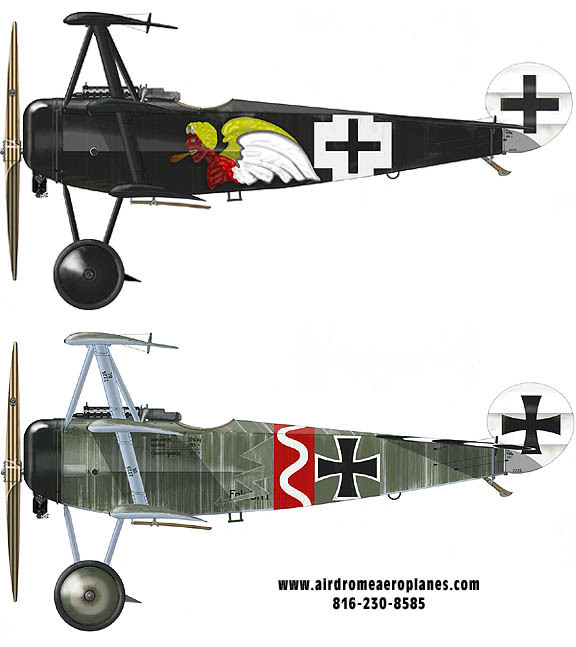 This is a cockpit/forward fuselage view of the Eindecker E-III. Notice the main spar running through the fuselage just behind the gas tank. 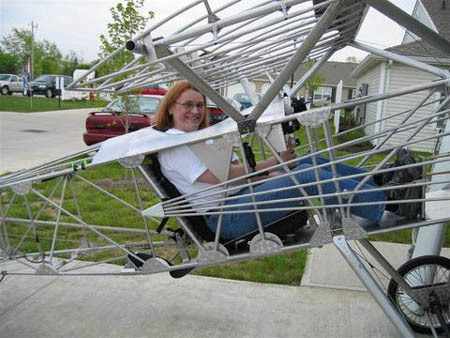 Notice the stick assembly and rudder pedals. 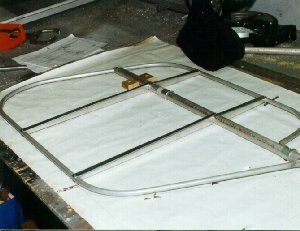 All in aluminum and very light Everything was fabricated using common tools found in about any workshop. 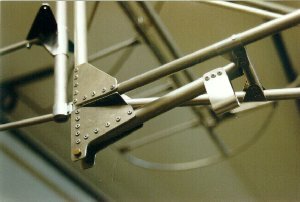 This is the stabilator for the Eindecker. Again, very light construction but no compromises were made in structural integrity. 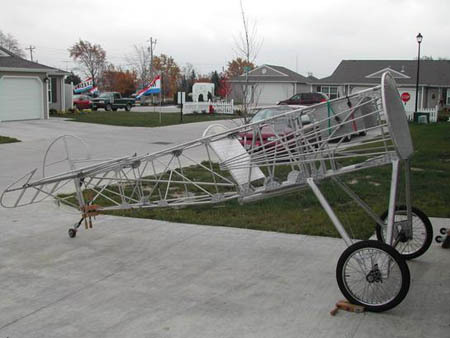 The Eindecker can easily be built as a Legal Ultralight. 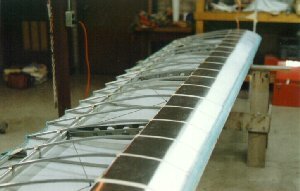 The Eindecker fuselage assembly looking from the right side. 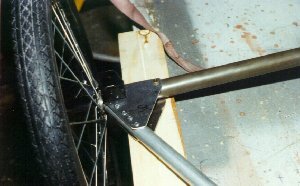 This is a typical joint used in Airdrome Airplanes aircraft showing the tube/gusset construction. 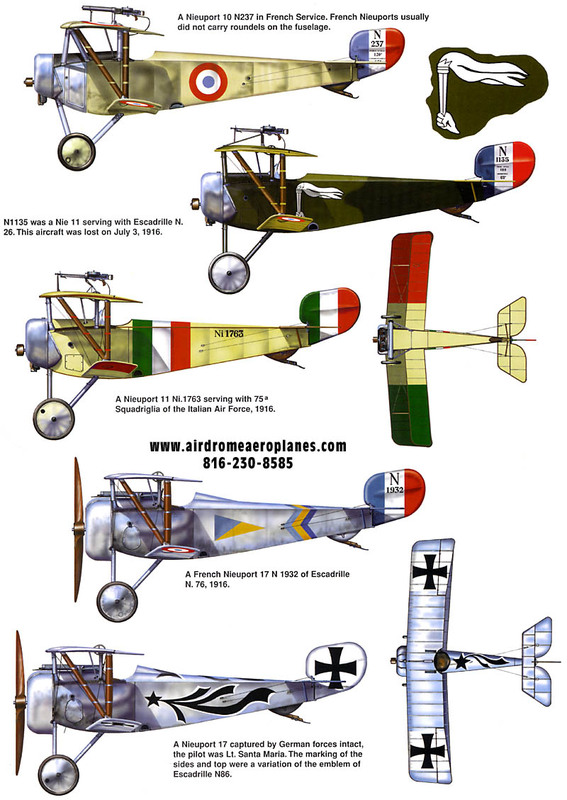 The tail post of any tail dragger aircraft takes a lot of abuse. 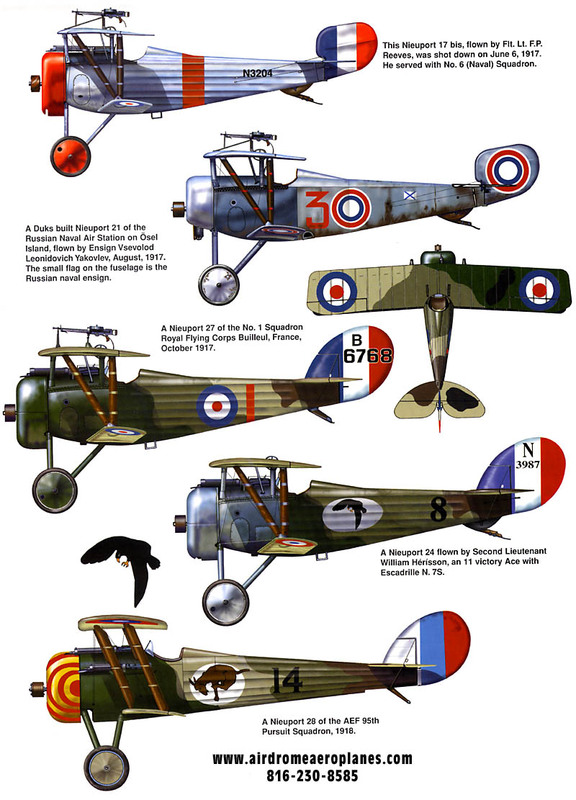 Airdrome Aircraft all boast a very sturdy rear fuselage assembly. 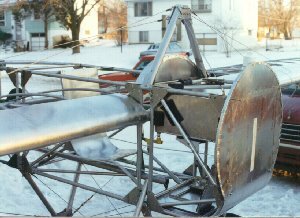 The tail wheel assembly features a bungee shock absorbing system captured by the loop of aluminum forward of the tail post. This is the tail post from an Airdrome Fokker Triplane. 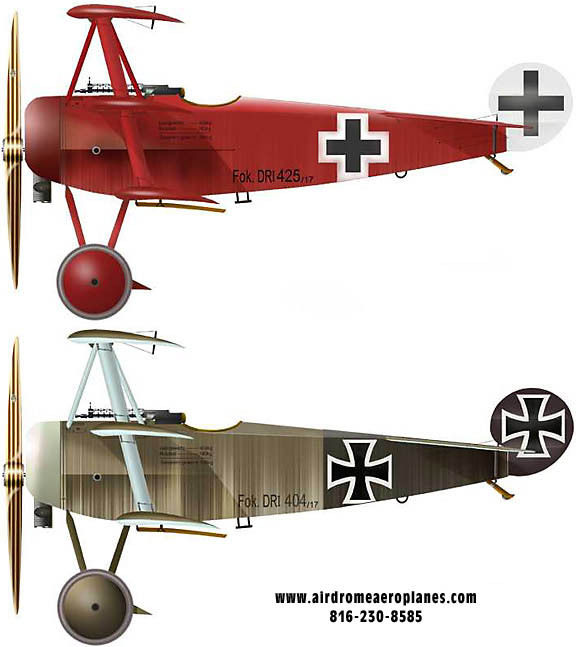 This is an Airdrome Airplanes Fokker DR-1 Triplane with fuselage and all three wings attached, ready for final rigging. It is a very light, sturdy structure. 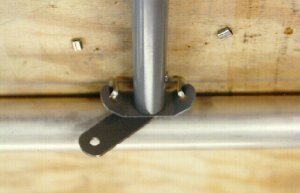 This is a photo of a typical compression strut assembly. 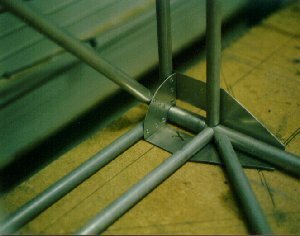 The tangs for the drag wires can be seen and the flying wire tang. 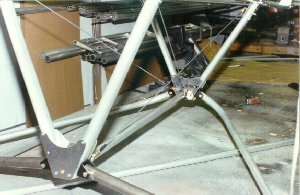 This is the landing gear for the Eindecker. Again, very light construction. 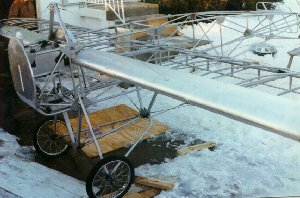 The uncovered top wing of the Fokker DR-1 Triplane. 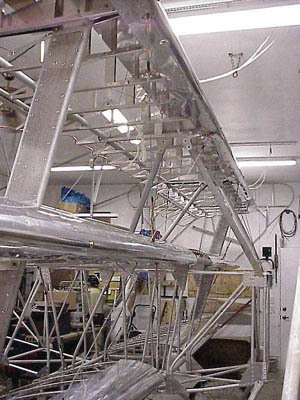 This is another view of the Eindecker fuselage and landing gear assembly. 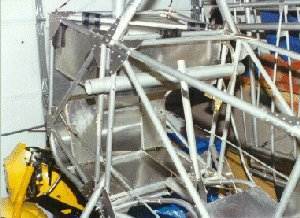 This is a shot, looking down, at the Eindecker landing gear/wheel.